Following on from the success of our first Styled by Simon evening last September, a date for the second Styled by Simon has been announced. 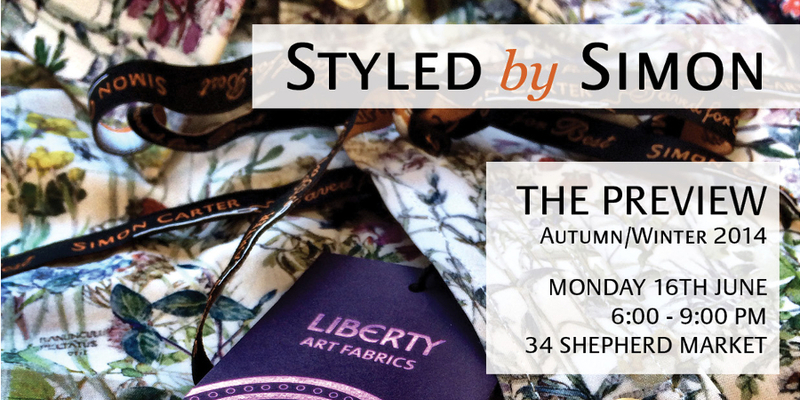 Join Simon and the team at Simon Carter Mayfair for a preview evening showcasing the Autumn/Winter 2014 collections and a chance to pre-order the new styles. Simon will be in the store to talk all thing NEW season and of course there will be complimentary drinks, nibbles and music with 20% off full price products.